Oatmeal is perfect on a chilly day and it is also a really great power-packed healthy breakfast. 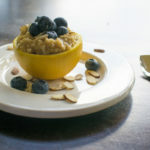 I am excited to share my all time favorite oatmeal recipe with you all! This is my Orange-Infused Oatmeal with Fresh Blueberries and Almond Slices. Creamy, citrus-y oatmeal, burst of fresh, sweet blueberries and the nutty crunch from the almonds makes this heaven in your mouth! I cant wait for you to give it a try! You can even have fun by serving it in an orange!! Oatmeal is perfect for a chilly day, and it is also a really great power-packed healthy breakfast. This is my all-time favorite oatmeal recipe. 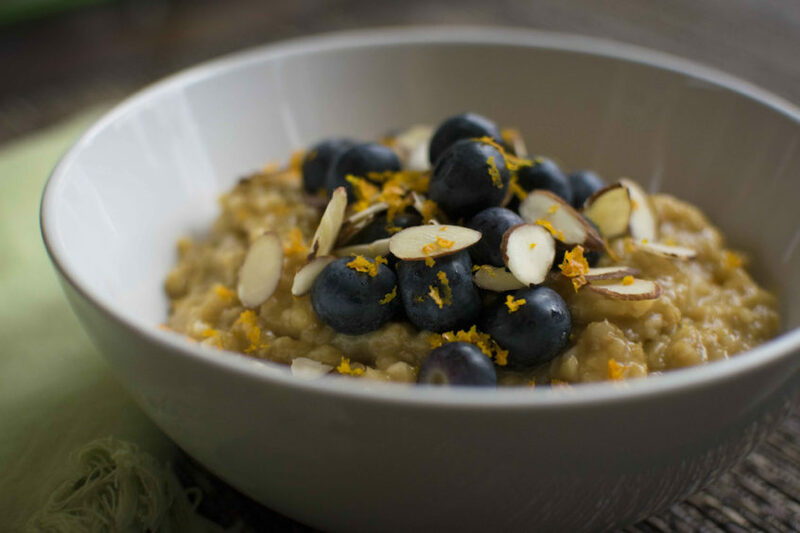 Creamy, citrus-y oatmeal, burst of fresh, sweet blueberries, and the nutty crunch from the almonds makes this heaven in your mouth! Combine the oats, orange juice, almond milk, and salt in a saucepan and bring to a boil, then lower the heat to low and bring to a simmer. Let it simmer, partially covered, for 25 to 30 minutes, or until the liquid is absorbed and the oatmeal is the right chewiness for you. Stir occasionally to keep the oats from sticking to the bottom of the pot. Add the maple syrup and stir until combined. Top with fresh blueberries, almonds, and orange zest, if using. 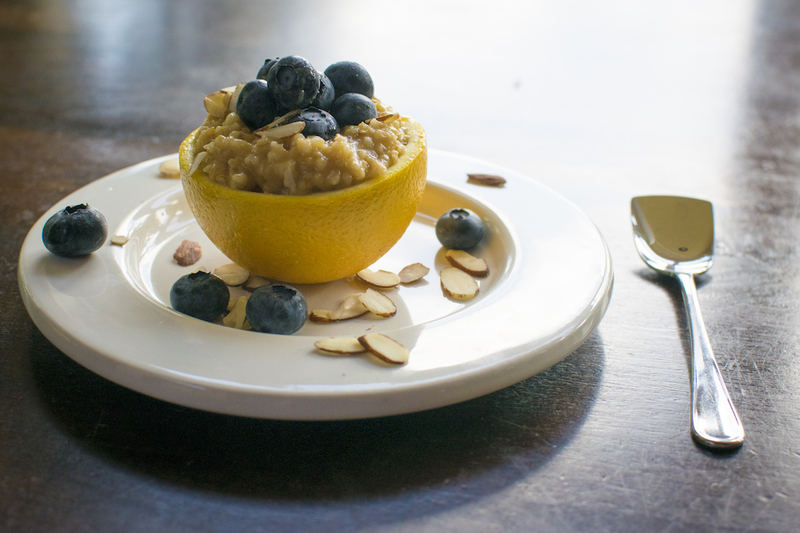 To really take your presentation to the next level, you can serve your oatmeal in an orange peel. Take an orange and cut it in half. Slice a bit of the bottom of the orange “bowl” so that it will stay put and not wobble. Carefully take a paring knife and cut around the inside of the peel, and use your fingers to pull out as much of the orange flesh as possible. Save the orange flesh for eating or juicing, and use the orange peel bowl to serve your oatmeal!